I think most would agree it is better to resolve problems by talking and being reasonable. Just to be clear though, and to establish what 'reasonable' means - here is a list of some basic requirements. 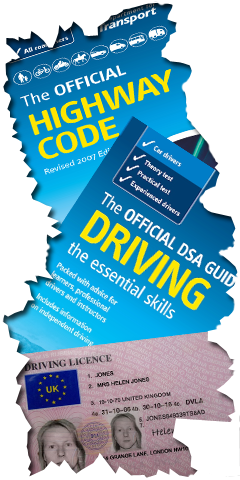 In order to start tuition, you will need a valid UK provisional driving license (or full UK/EU license if you're having refresher/manoeuvre lessons). Please bring this with you on your first lesson. You need to be able to read a number plate at 20 metres (that's about 65 feet), so if you need glasses for distance vision, don't forget them! If you have any medical conditions that may affect your driving - let me know. If you have any motoring convictions or points on your licence - let me know. Regular lessons are important to keep the learning curve going in the right direction. If you can't do a lesson for any reason, please give me 24 hours notice. If you cancel with short notice due to illness or family issues, just let me know as soon as you can, but bear in mind that I may still charge you for the full cost of the lesson, or part of that cost. If you cancel regularly, then I may insist on payment for lessons in advance or cease your tuition. You need to ensure that you are fit to drive when on a lesson. If I think that you are not, for any reason, then the lesson will be cancelled and I may charge you up to the full cost of the lesson. Lessons will be conducted in my car which is fully insured and has dual controls, allowing me to intervene in the interest of safety if required. On occasion, I will need to defer lessons to allow for Driving Test appointments. An alternative lesson will usually be agreed with plenty of notice but this should not be less than 48 hours. In the case of illness or unexpected mechanical problems, I will let you know 24 hours before if I can, but otherwise, as soon as possible. Any prepaid lessons will be carried over to an agreed date. We will discuss booking your Driving Test when you are ready to take it. Please consult with me before booking to ensure I am available on the day/time you have in mind. If you book a test when I feel you are not ready, then you will not be able to use my car for the test. That's it then. All sensible stuff and nothing to fret about. If you do have any worries or questions about starting lessons with Fit2drive UK, please get in touch.